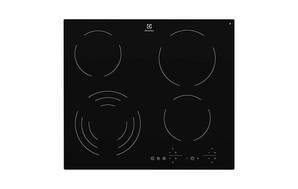 Snapshot: The Electrolux EHC644BA ceramic cooktop has 4 elements and touch controls. How well does it cook? Very good results in our white-sauce test. Very good layout (large element and small simmer element at front). Automatic heat up and keep warm functions. Touch controls for better control and temperature accuracy. Controls must be kept free of spills and grease to respond to touch.